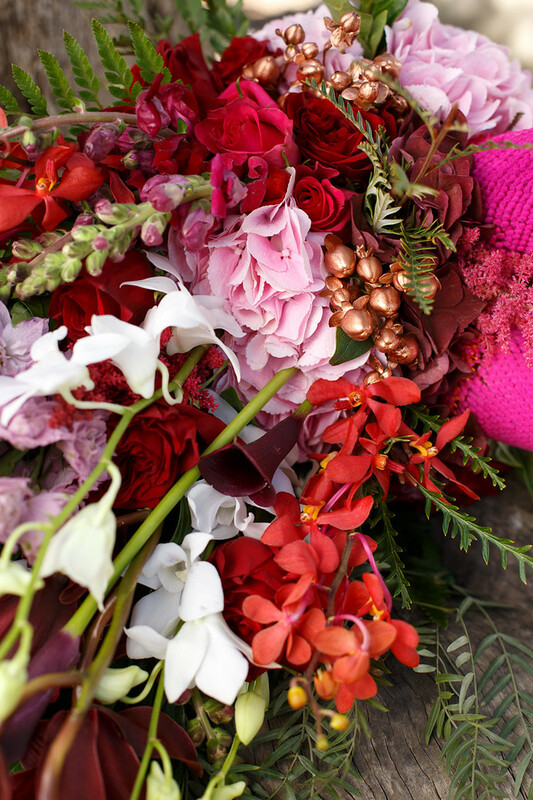 It’s not everyday that we get a client which fully hands over the reigns to us to not only get creative; but to also allow us the opportunity to be bold with colour combinations and designs. 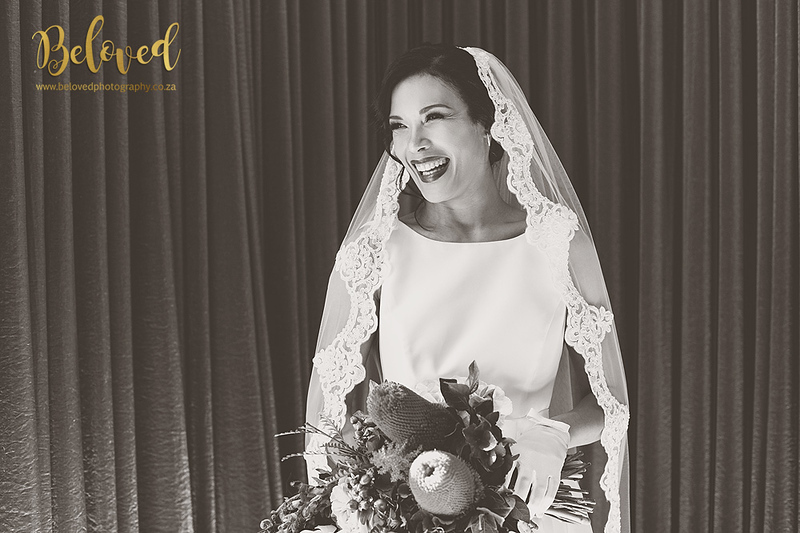 Leanne and Jerome allowed us exactly that opportunity; and to say that a magical creation came to life is but an understatement. 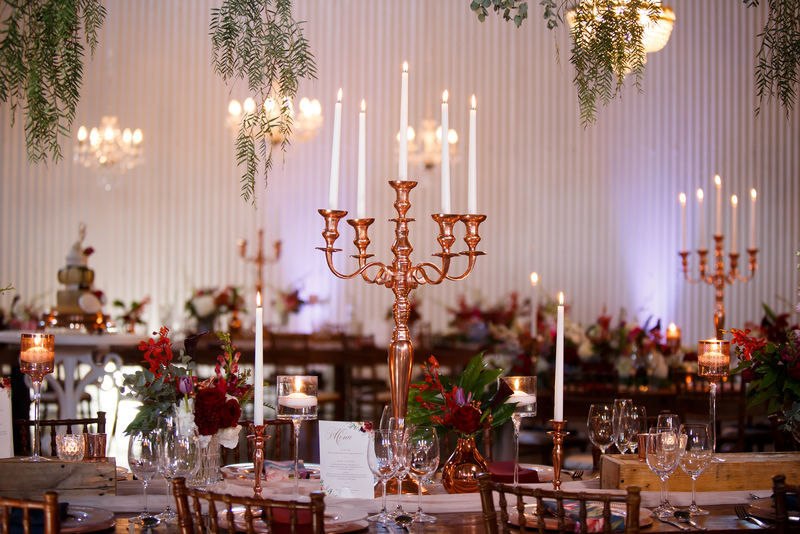 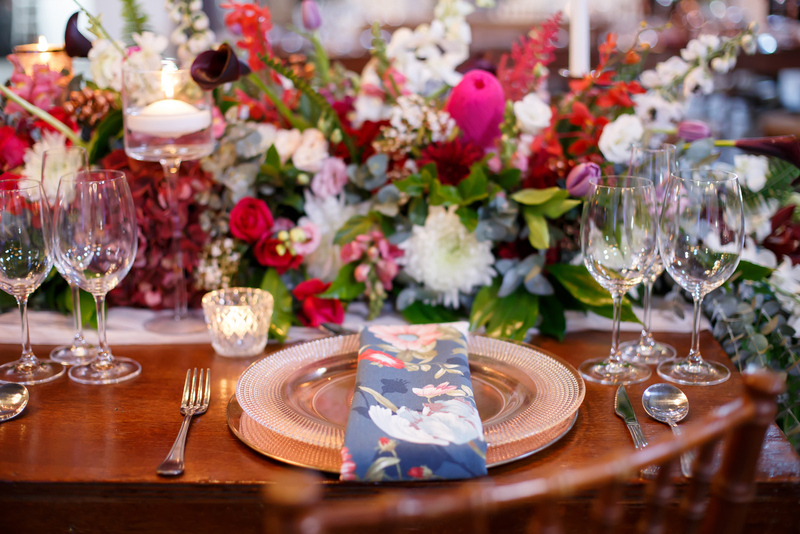 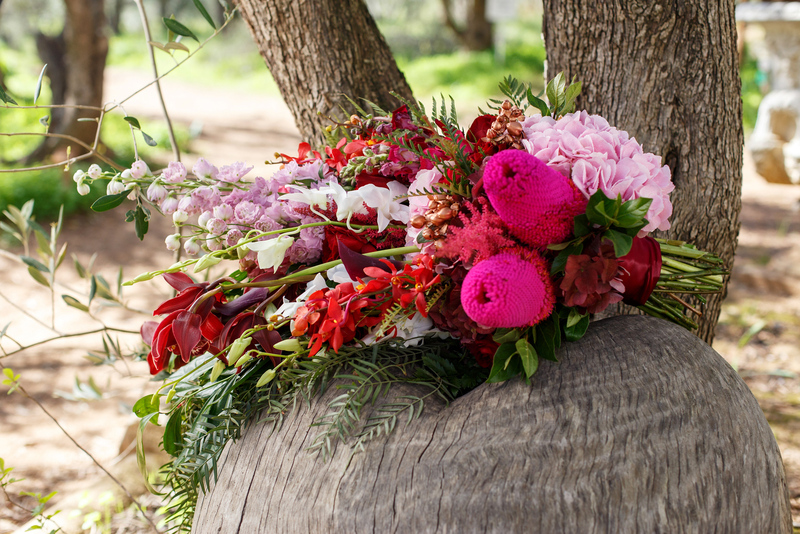 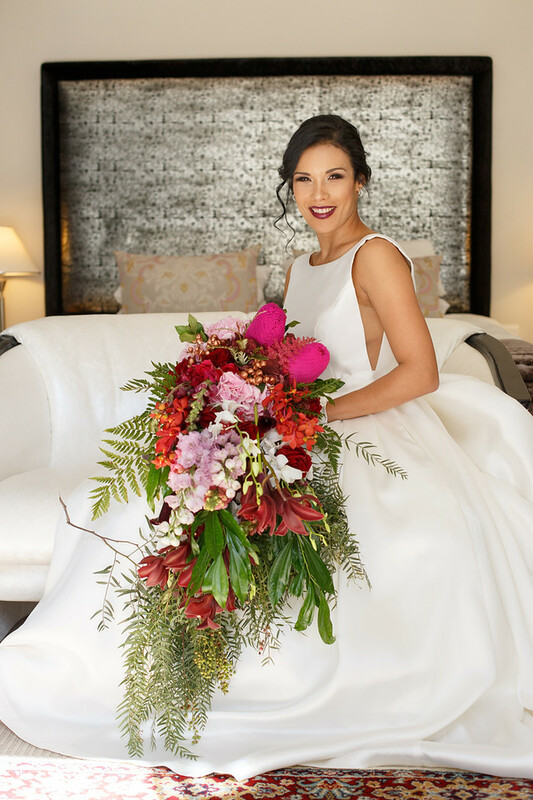 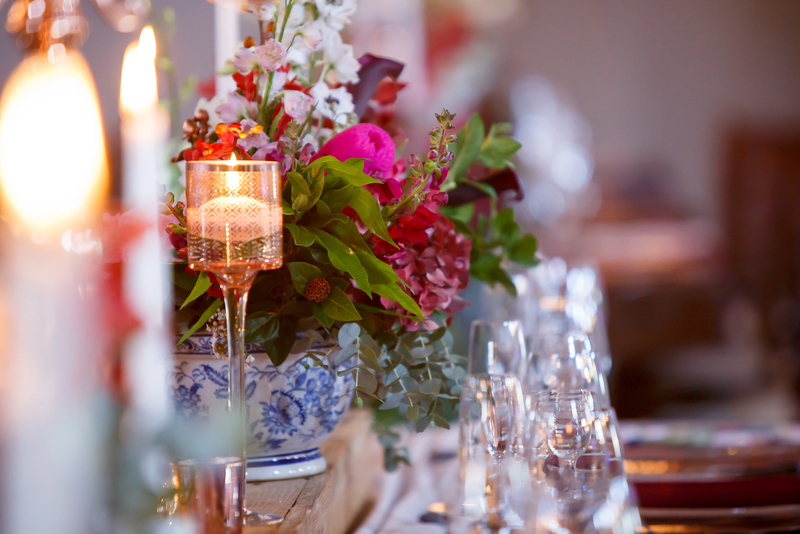 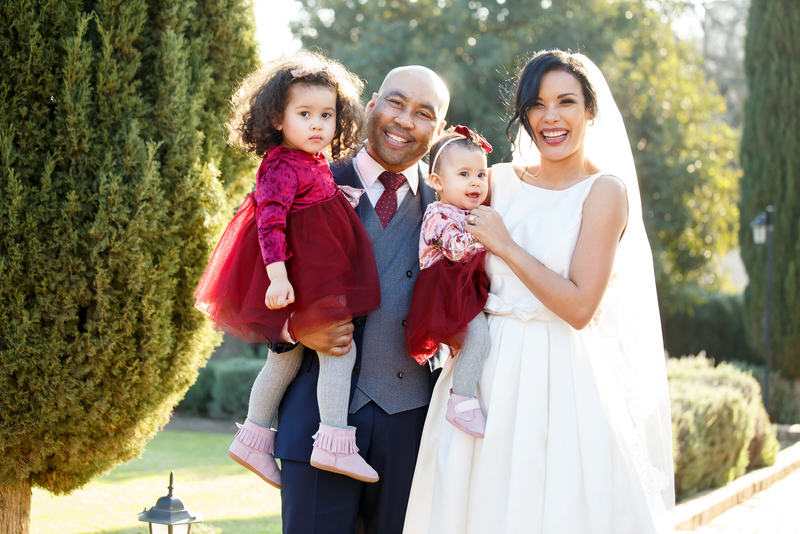 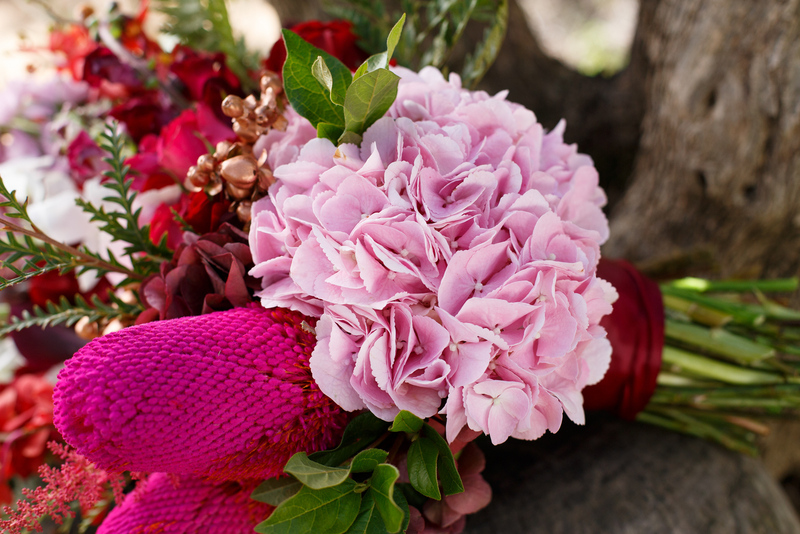 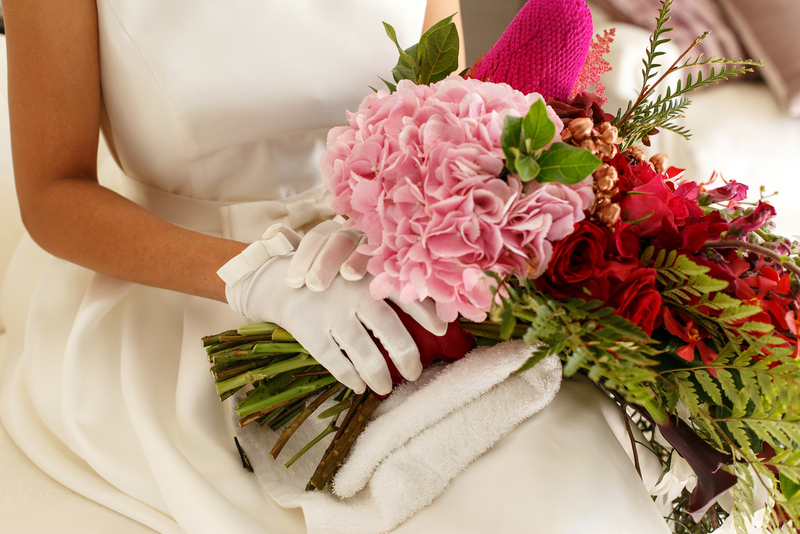 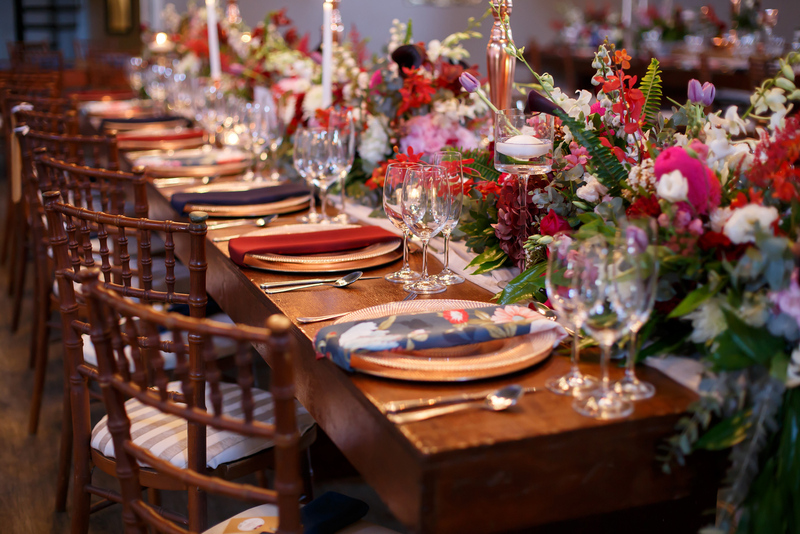 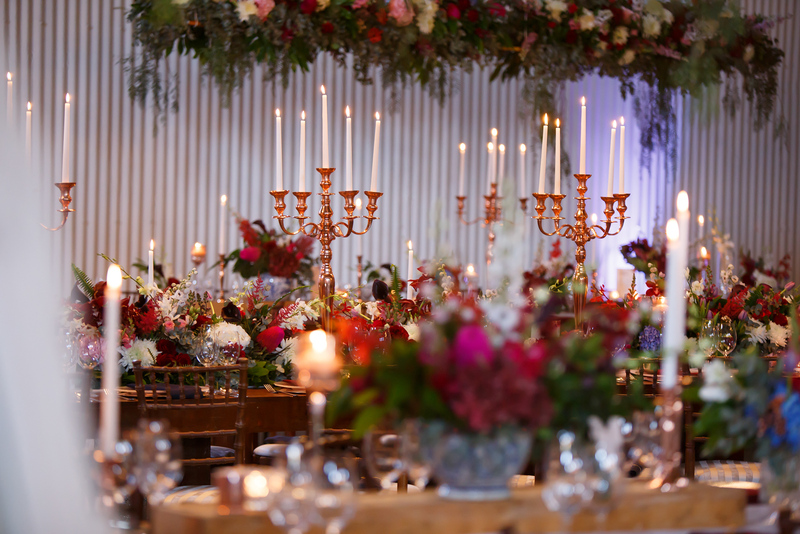 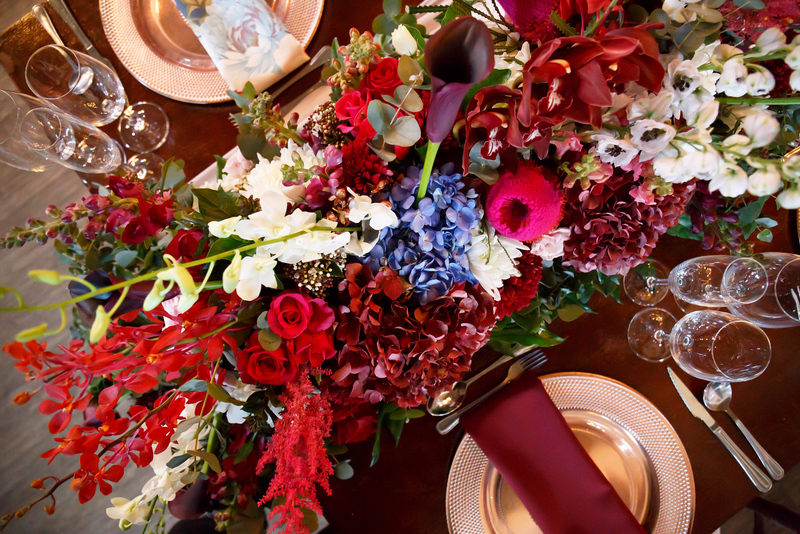 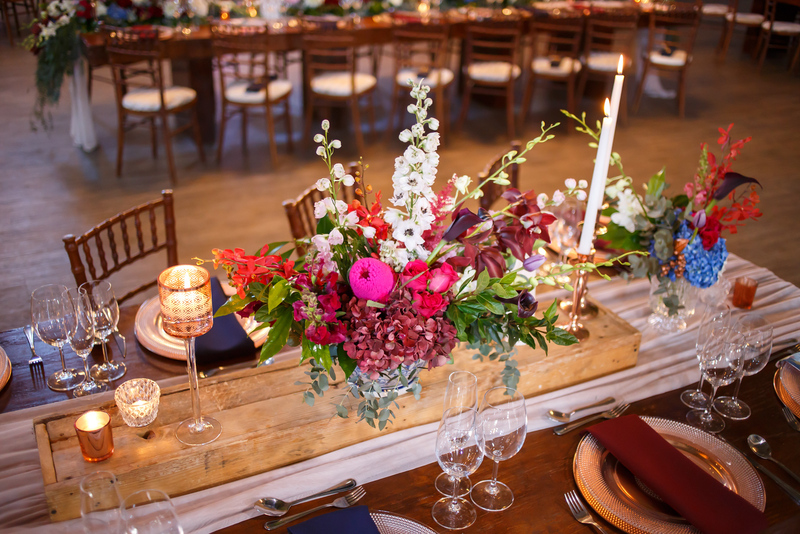 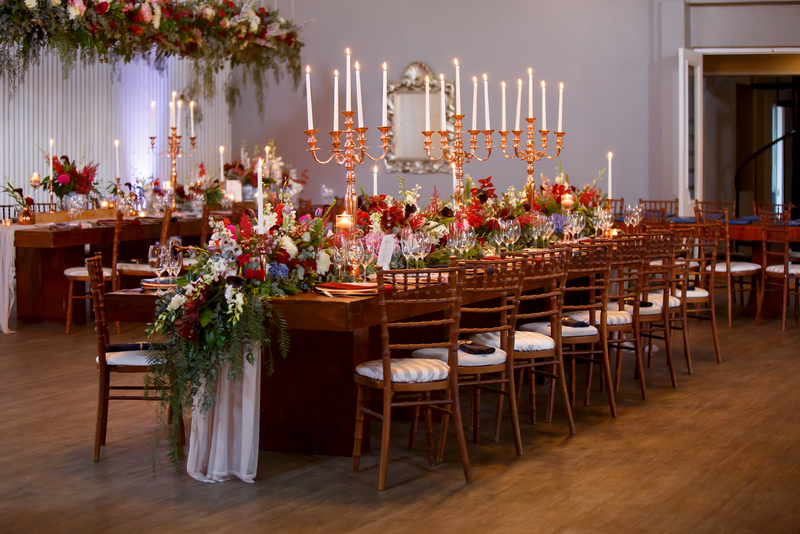 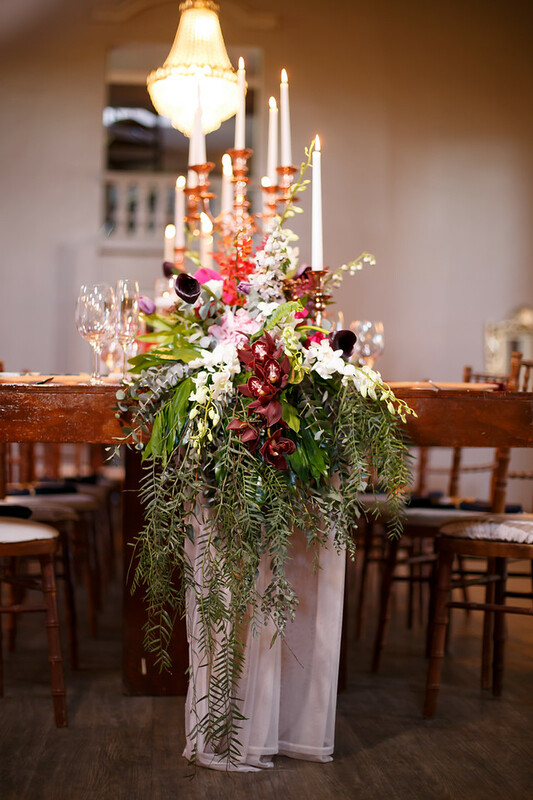 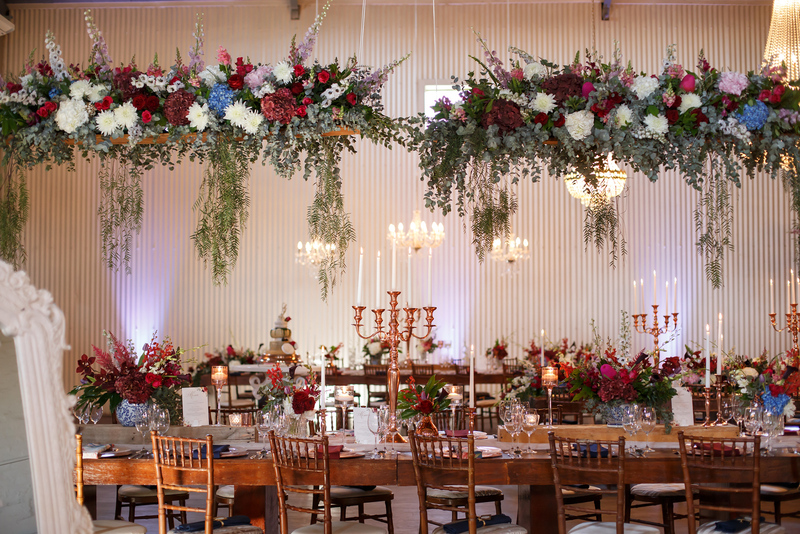 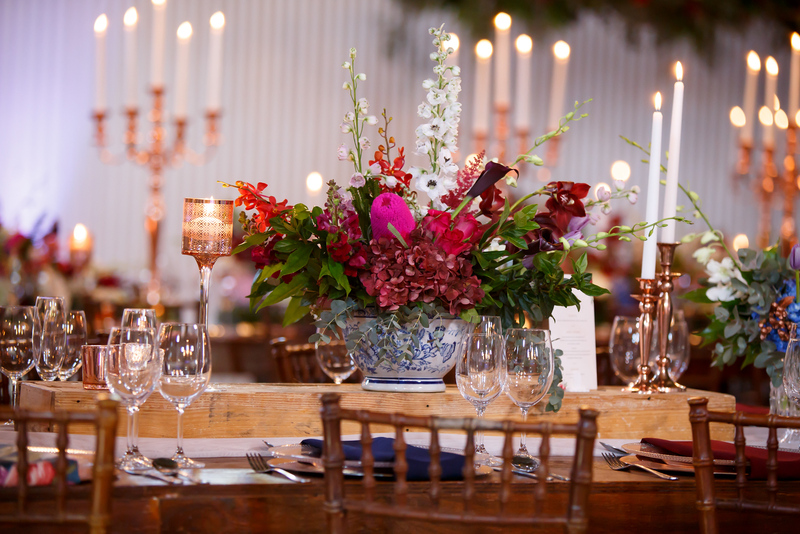 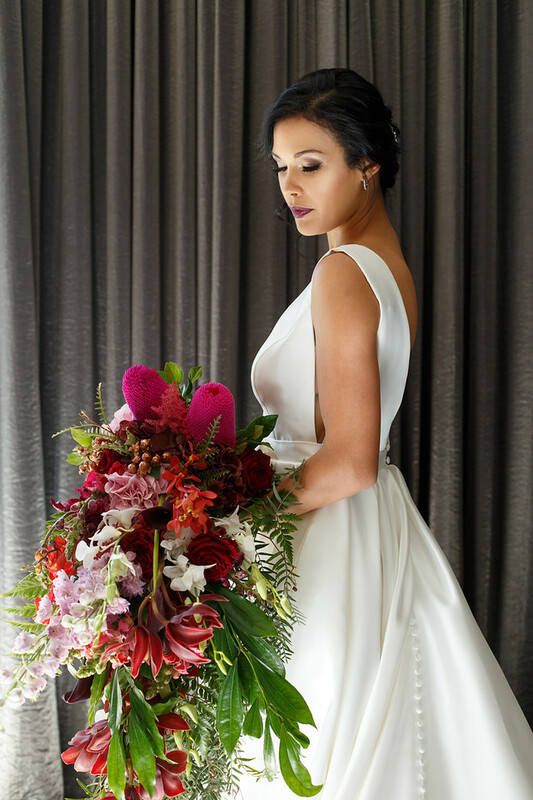 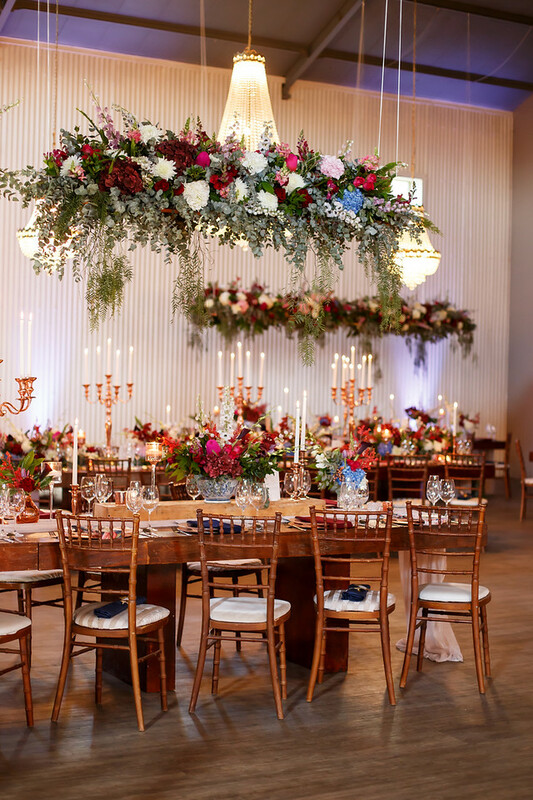 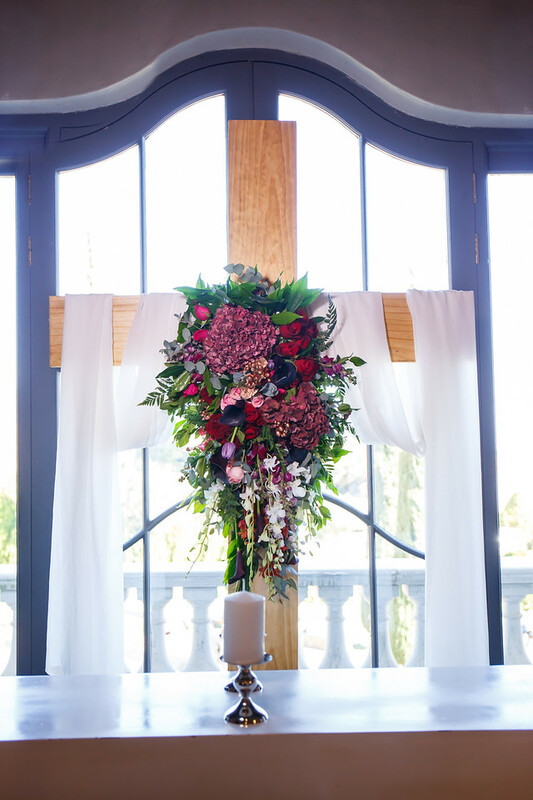 We adored working with this palette of burgundy, purple, pink, blues and a touch of Ming. 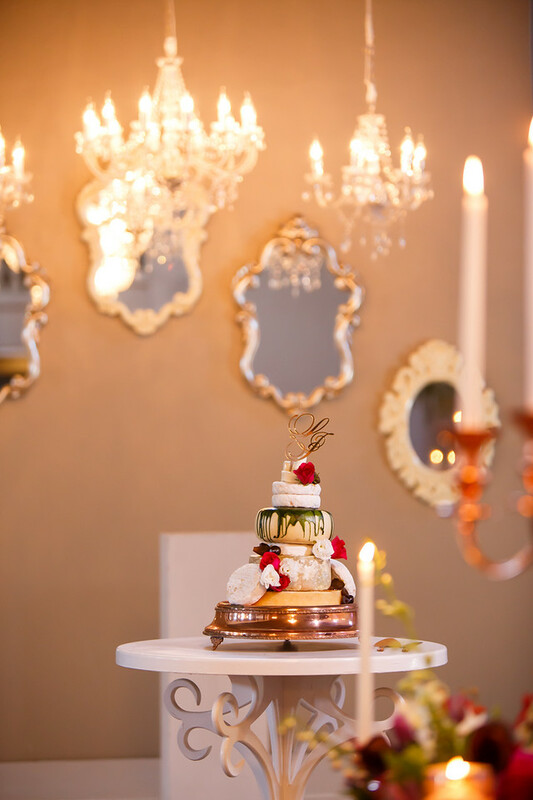 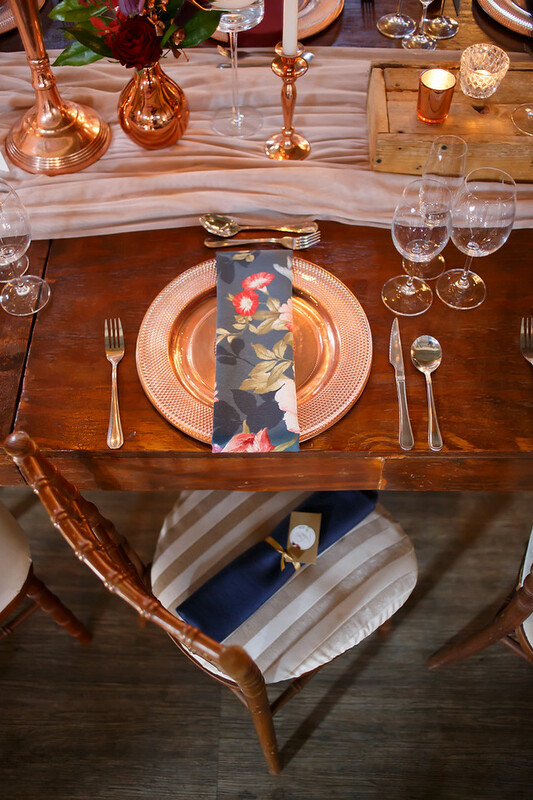 We hope you enjoy the images as much as we enjoyed creating this artistic design. 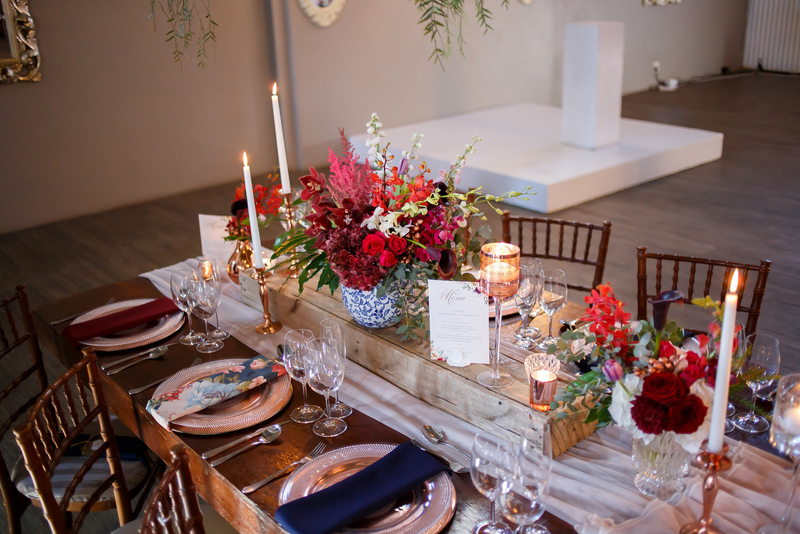 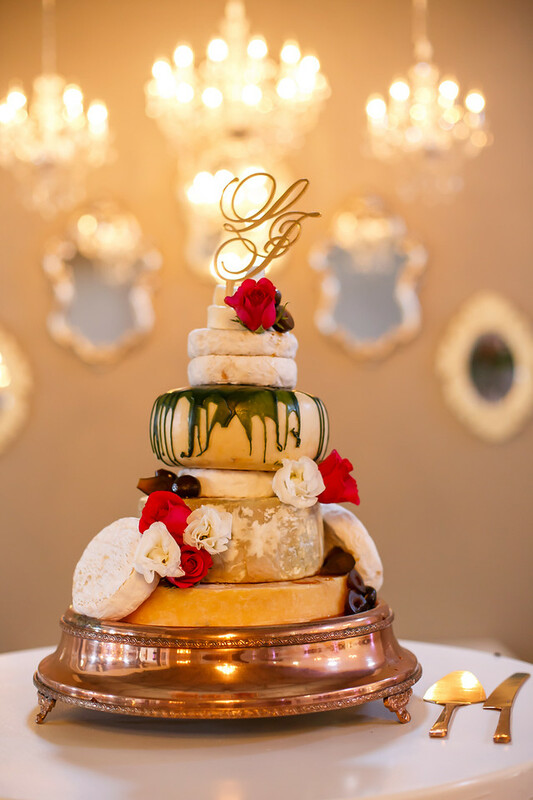 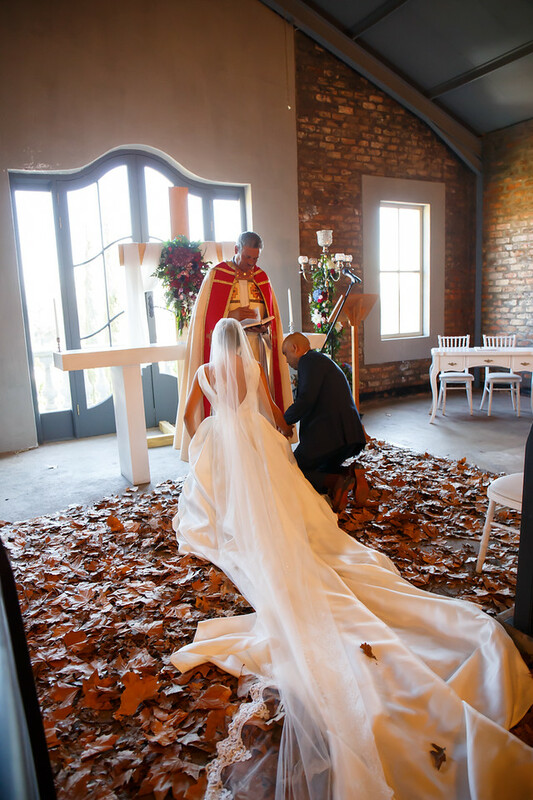 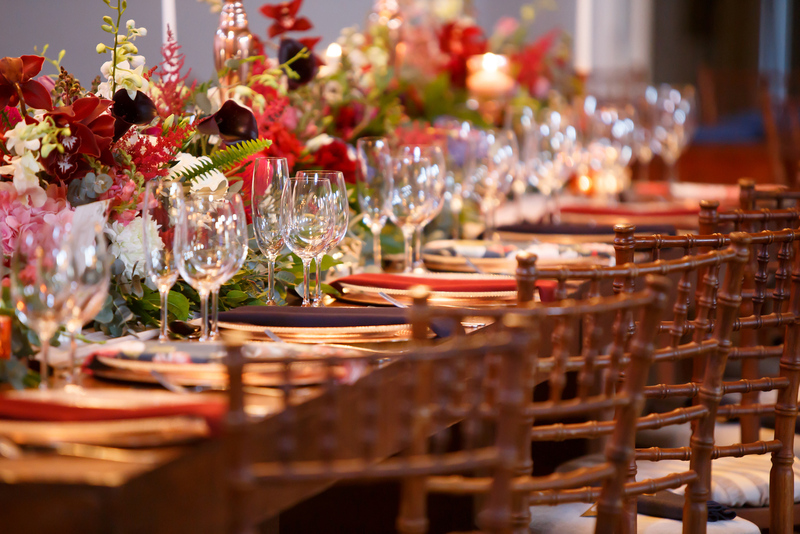 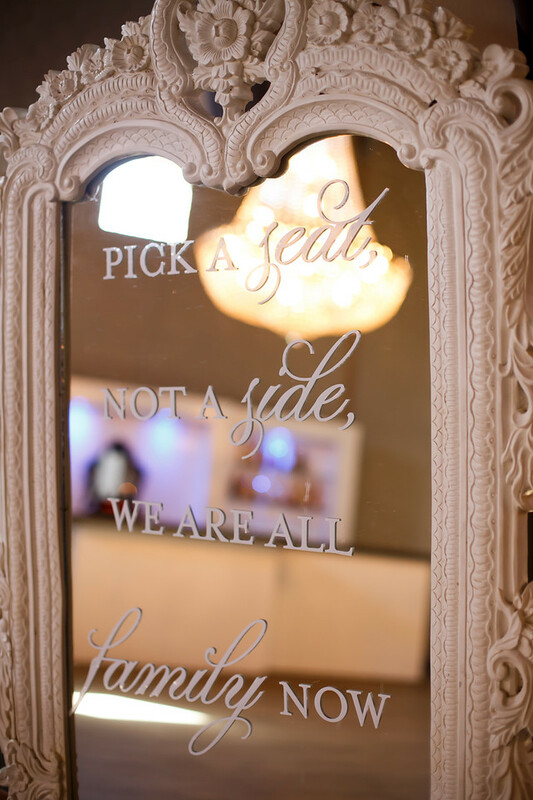 Floral design and decor styling: Design a Bloom – Jade’ Customised Events. 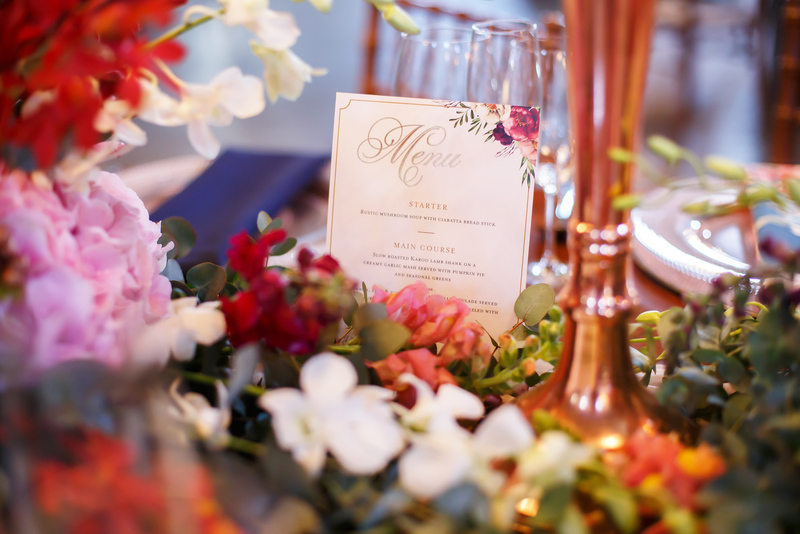 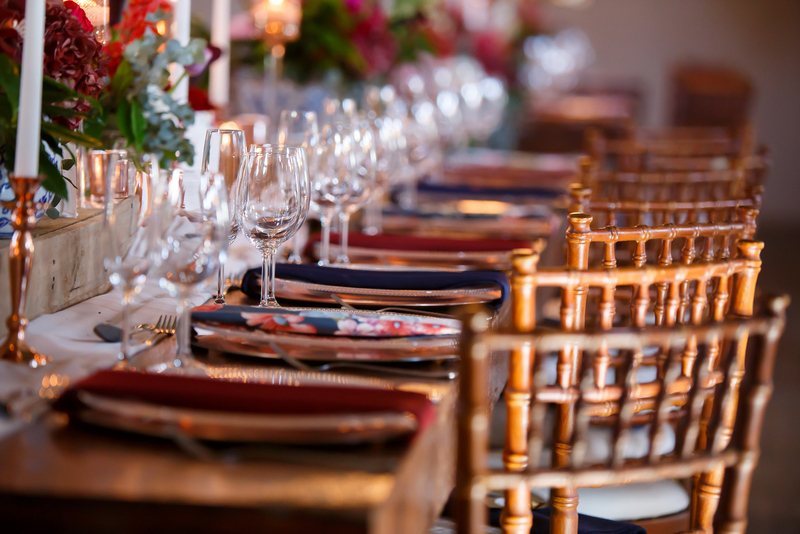 Linen: Custom Floral Napkins – Jade’Customised Events. 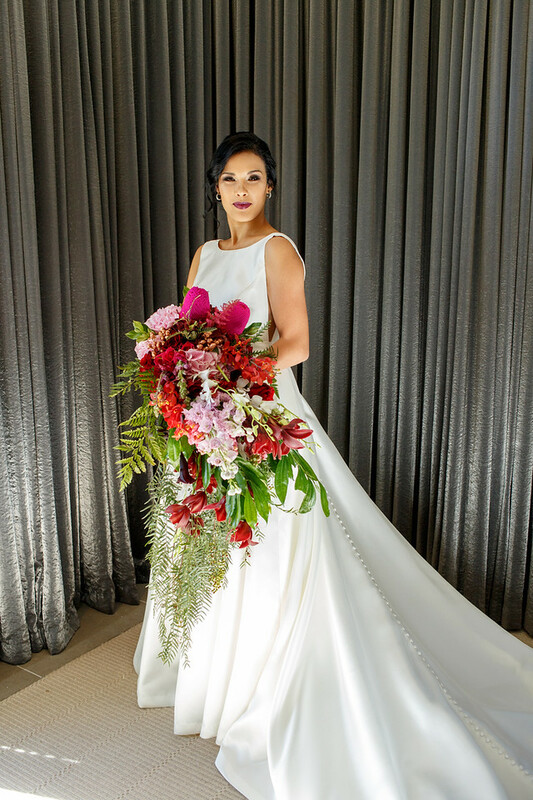 Beloved Photography, Ashanti Estate, Design a Bloom luxury floral design, Jade’ Customised Events planning. 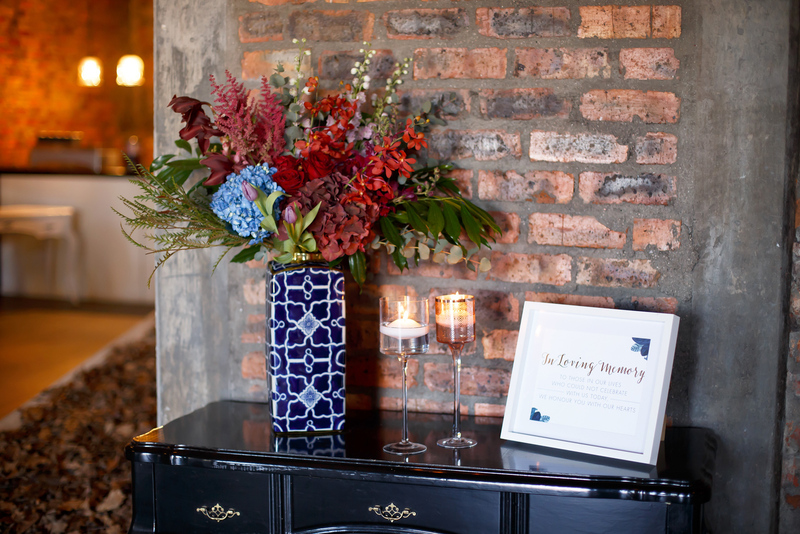 NEXTAgape Studio and Design a Bloom, product range Launch.